The journey is approximately 3.5 to 4 hours drive north of Brisbane City. Head out of Brisbane city on the Inner City Bypass onto Kingsford Smith Drive. Stay on Kingsford Smith Drive until you see the signs to the Airport on the Gateway Arterial Road. Once on the Gateway Arterial Road, you continue driving for around 10 minutes until you see a sign that says ‘Sunshine Coast’ on the left lanes. Take this exit and drive for a further 10 minutes until this joins the Bruce Highway. You then simply follow the signs through Gympie then take the Maryborough exit. From Maryborough, it is simply a matter of following the signs and allowing 30 to 40 minutes for the trip from Maryborough to Hervey Bay. 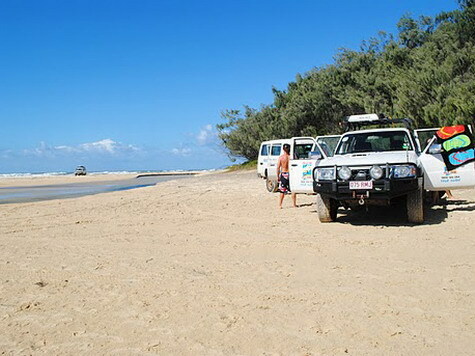 Print directions and choose the best route for your trip with Fraser Island Google Map. The journey is also approximately 1.5 hours drive north. Follow the Bruce Highway south to the Fraser Coast. Turn off at Torbanlea and follow also the signs to Hervey Bay. Also, follow the signs to River Heads. 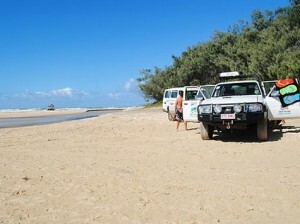 Print also directions and choose the best route for your trip with Fraser Island Google Map. For Fraser Island barge timetables also visit http://www.fraserislandferry.com.au/. or from the north of the state with Greyhound-Pioneer-McCafferty’s, Premier and Suncoast Pacific Coaches. Both the Tilt Train and the traditional Sunlander allow access to Hervey Bay and Fraser Island from the north. Arrival times and styles of travel vary between trains, so visit http://www.traveltrain.com.au for more information. 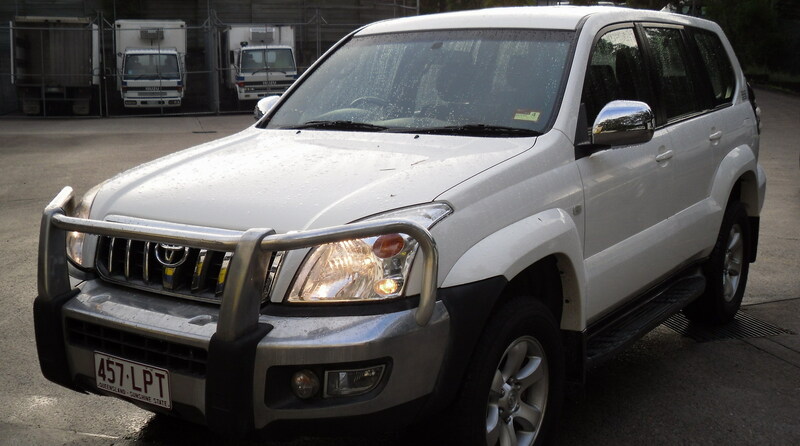 Driving a 4WD can be both fun and challenging especially when it is likely that you will come across a wide range of road surfaces and terrain. 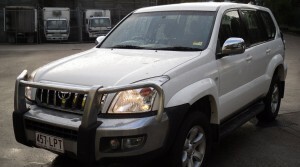 You will be shown an instructional DVD on how to drive a 4WD under various conditions. Fraser Tag Along Tours from Pelican 4×4 ready for a dip in the sea !! 1) Know where you are going also have a plan and detailed maps of where you are headed. 3) Understand road and weather conditions furthermore talk to other drivers about road conditions where you are travelling. Rain can cause the road to be slippery and cause ‘washouts’ while changing tides can make your beach travel more challenging. 4) Have the right tyre pressure because on hard roads (bitumen and gravel) you want to have normal tyre pressure (30psi). However, when driving on sand it is advisable to lower the pressure in each of the 4 tyres to 15psi. 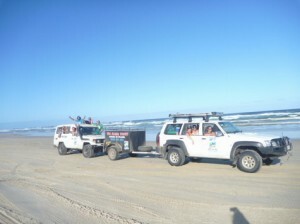 To get to Fraser Island from Pelican 4wd Bookings. 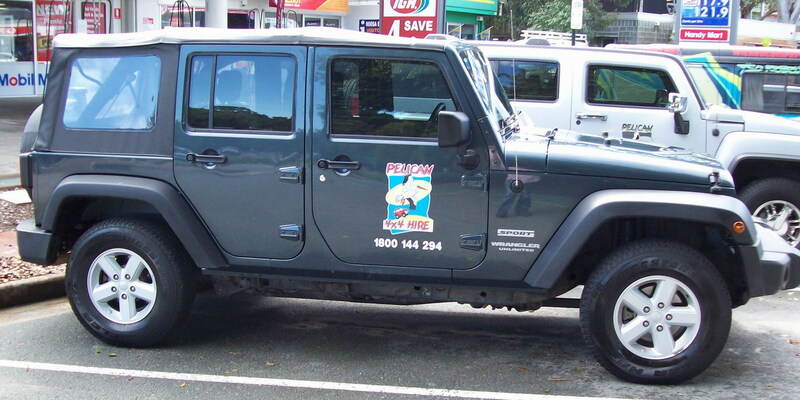 Take the Bruce Hwy north to Gympie and then take the Rainbow Beach Rd to Rainbow Beach. You then take the barge (ferry) from Inskip point to Fraser Island. Check out our Noosa/Rainbow Beach page, our Fraser Island Page, our Bribie and Morton Island page for further info and maps of the area. Please visit our Tide, Ferry and Permit page to view the latest tide, weather, ferry times and costs, and camping permit information.